Introduction: The study of the lives of saints, or hagiography, has always been a fascinating field. Historians and everyday people study saints, not only in order to find a connection to God through his disciples on earth, but because many saints were influential in historical events, such as the spread of Christianity or the development of Church doctrine. Two saints, in particular, were responsible for the dramatic spread of Christianity throughout medieval Ireland, and their activities have been recorded in medieval texts. 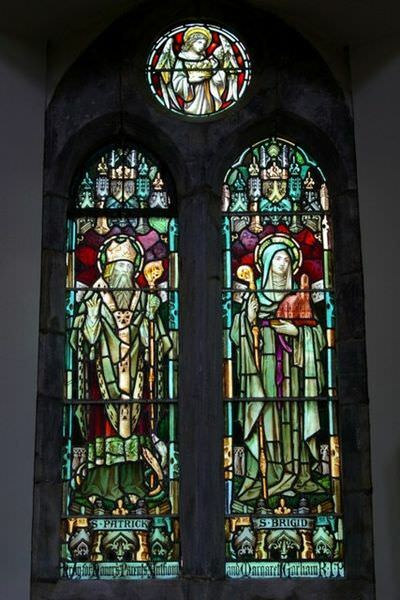 These saints are Saint Patrick and Saint Bridget of Ireland. Saint Patrick worked as a missionary in Northern Ireland during the early half of the fifth century. Saint Bridget was an abbess of Kildare in the central eastern portion of Ireland from roughly 450 to 520 A.D., and is famous for being the only female bishop in the Christian Church. Both St. Bridget and St. Patrick are patron saints of Ireland, but each had very different methods of converting people to Christianity from paganism during medieval times in Ireland. The main reason for the differences in their approach was due to their difference in origins and target audience. St. Patrick’s approach was more aggressive and was aimed towards people in the druid class who were advisors to kings. St. Bridget’s approach, which was gentler and welcoming to the Irish people, was directed toward commoners who continued to follow pagan rituals until her influence. Although their methods varied, it is evident that St. Bridget’s approach to conversion yielded greater results than St. Patrick’s, because it did not impose religion on the people, but instead molded their previous pagan beliefs into a genuine and devout acceptance of Christianity.